Yes. It will be put in your dental notes and kept confidential under the 1998 Data Protection Act. need to take extra contraceptive precautions. All this information is needed to make sure no dental treatment; drugs or materials will affect your health. Will my dentist contact my GP? Maybe, but they should always ask your permission first. In some cases, particularly for difficult dental procedures or extractions, the dentist may want to contact your GP for advice. If you have had a recent operation, or rely on medication, your dentist may ask your GP if there are any problems which may affect your dental treatment. We recommend you visit your dentist at least once a year. However, if you have certain medical conditions your dentist may want to see you more often. Patients who suffer dry mouth due to certain medication may find they are more likely to get tooth decay and would therefore need checking more closely. 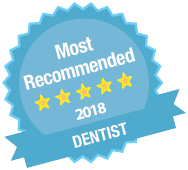 The dentist may also refer you to the dental hygienist in the practice for regular scale and polish appointments to keep up your good dental health. In certain situations you may need to be seen by a specialist dental team at your local hospital or regional centre to make sure you get the best medical care. This is especially the case with patients who have blood disorders, heart complaints or who are severe asthmatics. The staff will be specially trained to deal with patients who have medical conditions, and the necessary back up is there should it be needed. Your dentist may feel that due to your condition this is the safest option. Some medical complaints, which need regular medication can contribute to dry mouth, which in turn can cause tooth decay. Also, patients with epilepsy who rely on Epilim should always ask for sugar-free alternatives if they need the drug in syrup or liquid form. Epanutin, another drug prescribed for epilepsy, can cause gum problems. Dry mouth can be caused by radiation treatment to the head and neck, damage to the salivary glands or by certain drugs. Antispasmodics, tricyclic antidepressants, some anti-psychotic drugs and HAART (Highly Active Anti-Retroviral Therapy) for patients living with HIV can all cause dry mouth. There are many artificial saliva products, sprays and lozenges that your dentist can prescribe which may help to ease your symptoms. The reduced saliva flow can increase the chance of tooth decay. It is important to brush with a fluoride toothpaste and keep sugary foods and drinks to mealtimes only. If you need dental treatment, which could involve bleeding, such as a tooth extraction or a scale and polish, your dentist may give you a dose of antibiotics one hour before your appointment. This is to make sure there is no risk of infection of the heart valves. Recent scientific research has shown a link between poor oral health and other conditions such as heart and lung disease. This highlights the importance of good dental care. Keeping to a good oral hygiene routine at home and regular visits to your dentist will help to prevent gum disease and therefore avoid the risk of complications. Your dentist may suggest stopping your warfarin for 2 to 3 days before your dental extraction. However, for some patients there is no need to alter the medication and there should be no risk of complications following the extraction. Your dentist will be able to tell you more and may contact your GP for advice before beginning the treatment. Patients with anaemia may find they get more mouth ulcers. They may also get red lines and patches on the tongue. Ulcers usually last 7 to 10 days. However, patients with recurrent ulcers may find they take up to six weeks to heal. There are various sprays and creams that your dentist can prescribe if your symptoms continue. Sickle cell disease is a form of anaemia, which affects people of African and Caribbean origin. If you are in this ethnic group and need a general anaesthetic, you will have blood tests to make sure this is safe for you. A patient with either of these conditions is protected by the Disabilities Act. A dentist cannot, therefore, refuse to treat you if you have HIV or hepatitis. However, patients with hepatitis B and C may be referred to a specialist unit if the disease is uncontrolled. Due to the risk of blood-borne infections, all dental practices now have to follow very strict policies to prevent cross-infection. Many dental instruments are disposable and for single use only, and all other equipment will be sterilised before re-use. It is important to establish a very strict oral hygiene routine as early as possible and get regular professional care. Oral signs and symptoms are only common in uncontrolled HIV. Lesions can appear, which may be purple-red discolourations or larger growths. Oral thrush is also common when the immune system has failed, but quickly responds to oral medicine. Hairy leukoplakia is a common oral condition and appears as white lesions on the tongue – it can often be the first sign of HIV. Periodontal (gum) disease is common with HIV, and often develops very quickly when the condition is uncontrolled. Because the immune system is weakened, the gum disease is more severe and oral antibiotics are often needed. Dry mouth is another side effect of HIV and can cause tooth decay due to the reduced levels of saliva. Your oral care routine should include using fluoride toothpaste and you may need fluoride supplements too. You can be prescribed sprays or lozenges to ease your discomfort. It is important to always ask for sugar-free alternatives. How can my dentist help if I have diabetes? Book your appointments at a time when the dentist is least likely you keep you waiting, such as first thing in the morning. Try to avoid lunchtime in case you have to miss a meal. What if my diabetes needs hospital treatment? Many hospitals nowadays have a diabetic team who will give you advice on managing your condition. Diabetes could cause you to be less resistant to infection and increase the risk of your having heart disease. Therefore you may need antibiotics for certain dental treatments. If you are having a general anaesthetic you will not be able to eat or drink for about four hours before treatment, and this could prove a problem with your diabetes. In this situation, the hospital should make every attempt to book you first on the list to avoid you having to wait for long periods. Current guidelines suggest that old amalgam fillings should not be removed during pregnancy, but nor should new ones be put in. Speak to your dentist about alternative materials if you are unsure.